I went to Books of Wonder last week — a great place for all ages! 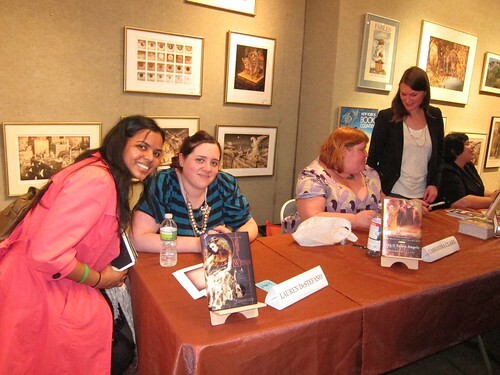 They were hosting a book signing event with Holly Black (LOVE her Faerie stories), Cassandra Clare (fan of her Infernal Devices series) and Lauren DeStefano (debut author of Wither) and a lot of people showed up! The ladies read from their upcoming books and then did a bit of Q&A. I found the story of who Magnus is based on to be quite fun. I also loved Lauren’s eyeshadow (though you can’t really see it in the photo below). 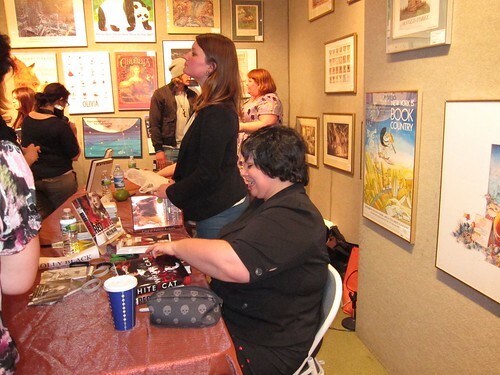 There were a lot of people so it took me an hour to get my books signed! It would have taken longer, but someone was kind and gave me an earlier number. 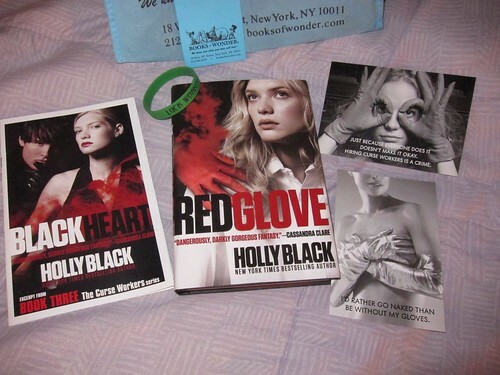 I really wanted to chat with Holly and tell her that I was the nerd who graphed her word count for Black Heart. But I realised until later that the best time to speak to an author is while they are signing, even though I feel as though I’m interrupting them if I do. It’s quite hard to just stand there and wait until they are done because once the book is returned to you it’s as though your turn is over and well, it’s just awkward. Take my word for it . It also doesn’t help that I’m super shy when it comes to strangers. So much so that when Cassie asked me what character I liked best instead of saying Clary I said Cassie. Le Sigh. I THINK I played it off well enough, but I won’t be surprised if she thought I was strange. 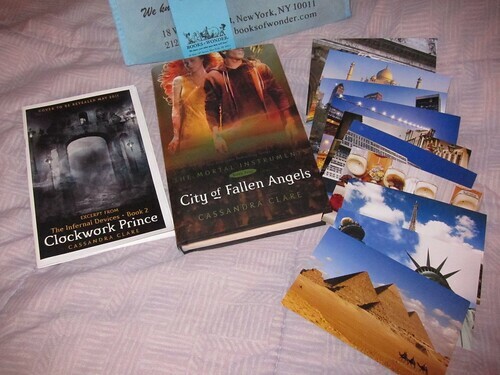 I loved that they gave us postcards from the characters in the book. Tres magnifique! They also gave us a sampling of the books to come. 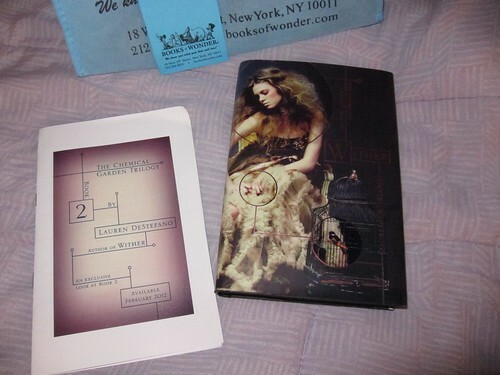 I can’t wait to read Wither, however, it’s on a to-read list for now. Maybe in a few weeks I’ll be able to start. I love dystopian stories, especially because of the sci-fi side that they can take on. It’s fun to see the future others are dreaming and their thoughts on governments having full control. The next big book event for me is BEA. I really hope I find my voice and am not shy there. I want it to rock!